Using TEK® self-drilling screws, but looking for something better? 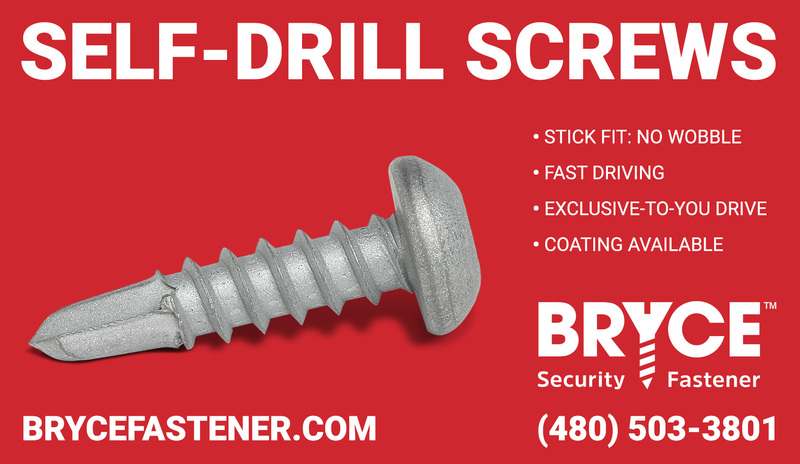 Our self-drilling security screws are superior in design, drive speed, and security. If you're looking to prevent wobble and increase drive speed, we recommend the Bryce-exclusive Key-Rex® or STYKFIT®7 drives, or our standard-security TORX® replacement, STYKFIT®6. The precise fit between the fastener and the bit prevents the fastener from wobbling, which enables one-handed installation. The fastener simply won't fall off of the bit. Other self-drilling screws that are available for purchase at retail won't have as tight a fit, so the fastener will either wobble as you try to install in, or fall off of the bit altogether, preventing one-handed installation. We make ours in 1022 alloy steel, or 410 stainless steel with BryKote™ Coating. We recommend Raptor™ Security Heads for increased torque and holding power.